Isn’t the bright green color of this beer amazing? 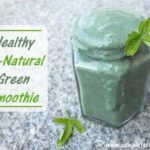 And it’s all naturally colored with wheatgrass juice! 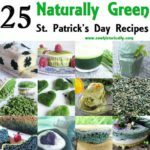 The naturally green beer is a perfect drink for St. Patrick’s Day! 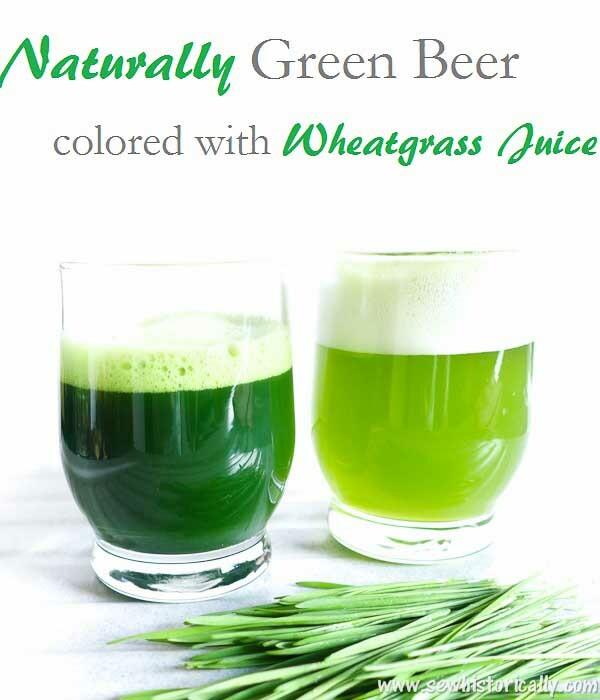 I’m not much of a beer or radler drinker but this naturally green wheatgrass beer is delicious on a hot summer day! 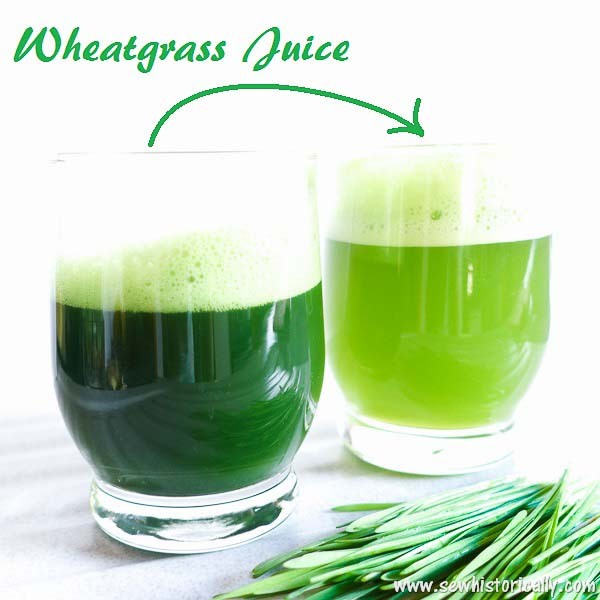 Wheatgrass juice is slightly bitter and slightly sweet and goes well with beer and especially the sweeter radler. 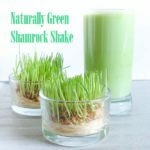 You can use homegrown or store-bought wheatgrass for the naturally green beer. It’s easy and so much fun to grow wheatgrass at home. All you need is wheat berries and water. And in about 8 days you can harvest your homegrown wheatgrass! 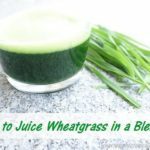 I used a blender to juice my homegrown wheatgrass which works really well. 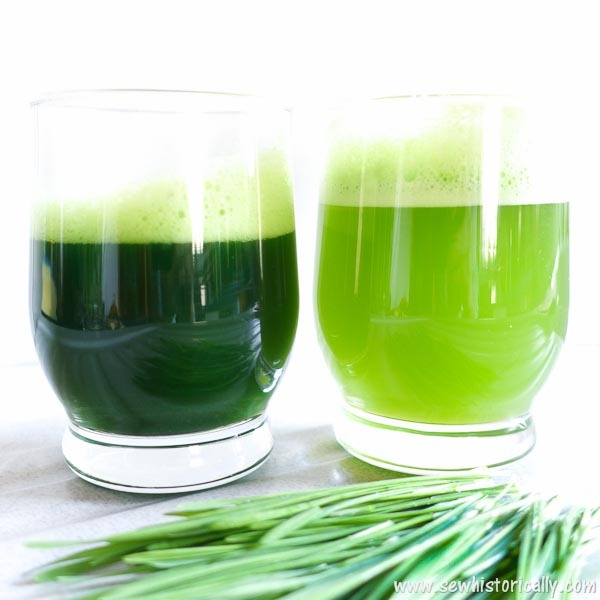 Pour two tablespoons of fresh wheatgrass juice in each glass. Then pour the beer or radler in and enjoy your naturally green St. Patrick’s Day beer! 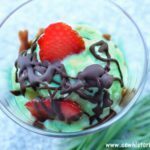 This would be good on St. Patty’s day! Thanks for sharing at the What’s for Dinner party – and have a wonderful week. Hope we see you next Sunday too! Thanks, Helen! Have a wonderful week too! Wow, looks so good. Agree you got the St. Pattys day covered. Rita. What a great idea! I never want to drink the green beer at St. Paddys but this would be a different story!